I was honored to participate in Transform Your Learning Space with Jamboard, a Google for Education EDU on Air event on November 28, 2018. I was joined by fellow educators and Googlers. We discussed both the Jamboard device and the Jamboard app. Please note the app is free! I shared how students and teachers are using the Jamboard app on iPads at my school. Timestamp directly to me sharing some Jamboard tips and tricks. 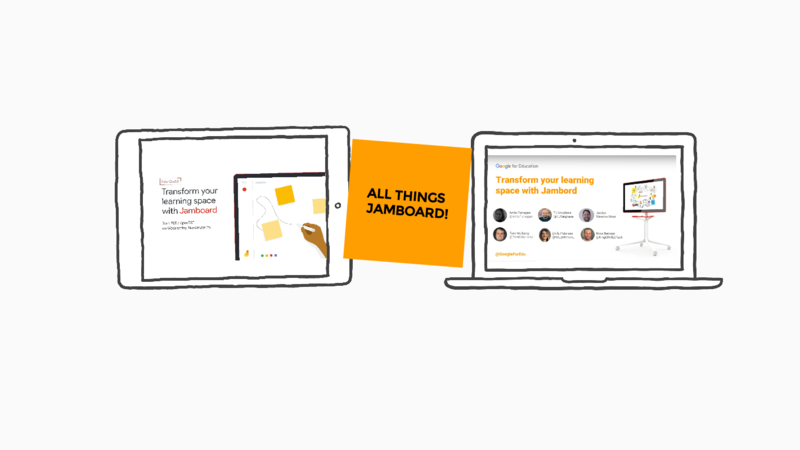 Do you have questions about how students and teachers can use the Jamboard app for collaboration and brainstorming? Comment below or tweet me @TomEMullaney? Thank you for reading and watching. Previous Congratulations! It’s Your First Day of Google Jamboard! Thanks for posting the video you were participated in. I’m excited to explore Jamboard with our Chromebooks. I will demonstrate the power or Jamboard in the middle school classrooms. The other takeaway will be when I present at PETE & C in February I will use it as a Backchannel. Thank you.